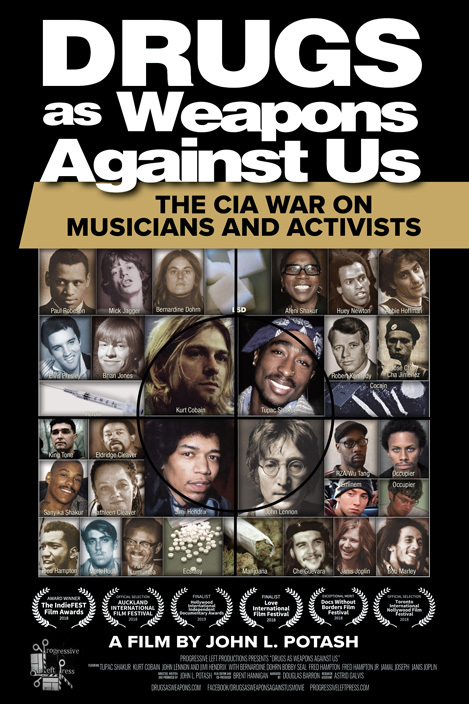 Drugs as Weapons Against Us presents evidence that the CIA manipulated musicians and activists to promote illegal drugs for social control, particularly targeting individuals in the Civil Rights and anti-war movements. Evidence further supports that intelligence agents murdered some of these musicians and activists when they started sobering up and stopped promoting drugs. Targeted musicians and activists included Tupac Shakur, Kurt Cobain, John Lennon and Jimi Hendrix, as well the anti-war SDS and The Black Panthers. The long history of drug trafficking includes British and American wars over international drug-producing regions. Wealthy American families who enriched themselves on the drug trade became entrenched in US Intelligence. The CIA and Pentagon influenced the launch of America’s longest wars in the top opium-producing poppy field regions of Vietnam and Afghanistan. The CIA also ran covert operations to control cocaine-producing regions in Central and South America. 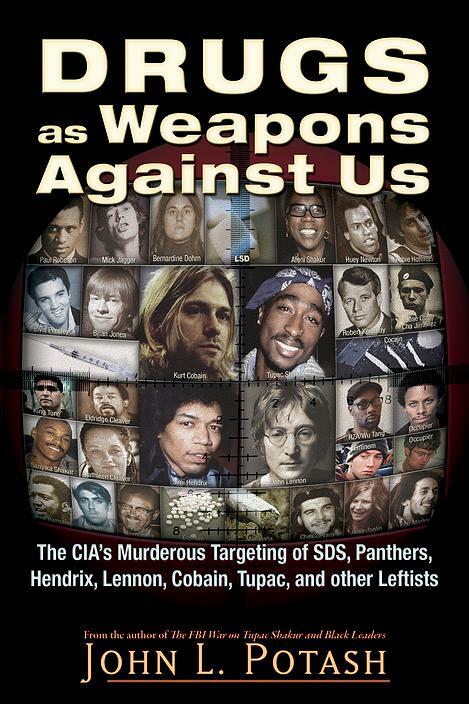 The CIA’s Murderous Targeting of SDS, Panthers, Hendrix, Lennon, Cobain, Tupac and other Activists. Drugs as Weapons Against Us meticulously details how a group of opium-trafficking families came to form an American oligarchy and eventually achieved global dominance. They directed the CIA in operations such as MK-Ultra, pushing LSD and other drugs on leftist leaders and left-leaning populations at home and abroad. Evidence supports that this oligarchy further led the United States into its longest-running wars in the ideal areas for opium crops, while also massively funding wars in areas of coca plant abundance for cocaine production under the guise of a “war on drugs” that is actually the use of drugs as a war on us. Drugs as Weapons Against Us tells how scores of undercover U.S. Intelligence agents used drugs in the targeting of leftist leaders from SDS to the Black Panthers, Young Lords, Latin Kings, and the Occupy Movement. It also tells how they particularly targeted leftist musicians, including John Lennon, Jimi Hendrix, Kurt Cobain, and Tupac Shakur to promote drugs while later murdering them when they started sobering up and taking on more leftist activism. The book further uncovers the evidence that Intelligence agents dosed Paul Robeson with LSD, gave Mick Jagger his first hit of acid, hooked Janis Joplin on amphetamines, as well as manipulating Elvis Presley, Eminem, the Wu Tang Clan, and others. Assassinated American opposed the war in a top opium growing area. CIA’s MK-Ultra had a hit list of opposition leaders to dose with LSD and other drugs. MK-Ultra agents frequented West Coast “Acid Tests” and Leary’s Milbrook acid estate. Undercover agents dosed musicians, writers and political activists here and abroad. George Harrison’s dentist gave him and John Lennon their first doses of LSD covertly. An attorney and legal reporter’s eight-year study said the CIA murdered Lennon. An FBI asset supplied Mick Jagger’s first hit of LSD, then framed him and Keith Richards. Jimi Hendrix’s manager, once in Britain’s MI6, reportedly admitted murdering him. Janis Joplin died of a hotshot of potent heroin just before her first anti-War concerts. Drugs were used on Black Panthers Huey Newton, Fred Hampton, and Afeni Shakur. Nazis aided CIA & cocaine lords in the mass murder of Latin American revolutionaries. Kurt Cobain wanted anarchist essays inside the thirty million-selling Nirvana album. Police supervisor told officers not to investigate Cobain’s death as murder. Tupac Shakur’s gang-conversion movement cost billions in laundered drug money. Drugs were used on Occupiers; a provisional plan to shoot leaders in Texas was found. 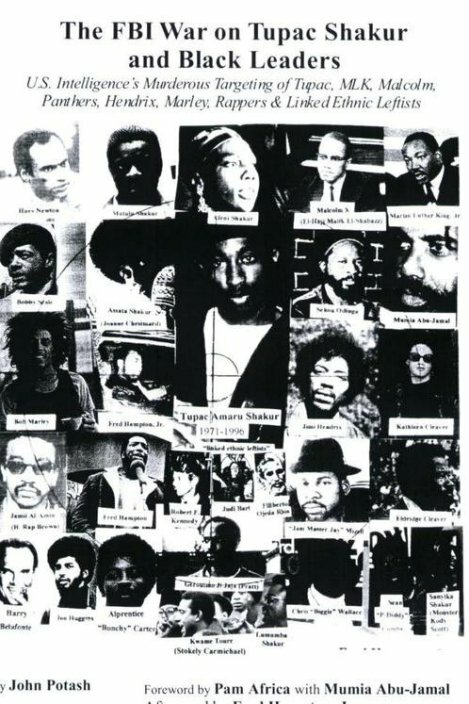 The FBI War on Tupac Shakur and Black Leaders contains a wealth of names, dates and events detailing the use of COINTELPRO style tactics by the FBI against a generation of leftist political leaders and leftist musicians. Based on 12 years of research and includes over 1,000 endnotes. Sources include over 100 interviews, FOIA-released CIA and FBI documents, court transcripts, and many mainstream media outlets. Book is 192 pages of main text, 100 pages of endnotes, 8 pages of photos (incl. government/court documents) and some more pages of preface, foreword, afterword, and bios. 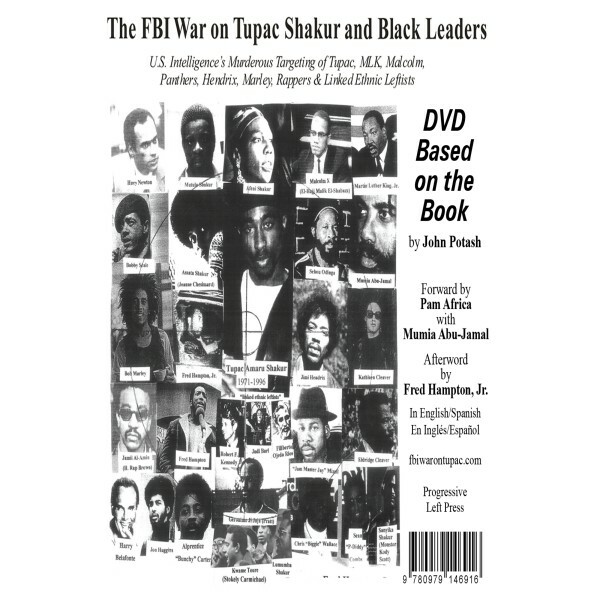 Afterword by Fred Hampton, Jr.
85 minute film based on the book, subtitled, U.S. Intelligence’s Murderous Targeting of Tupac, MLK, Malcolm, Panthers, Hendrix, Marley, Rappers and Linked Ethnic Leftists.